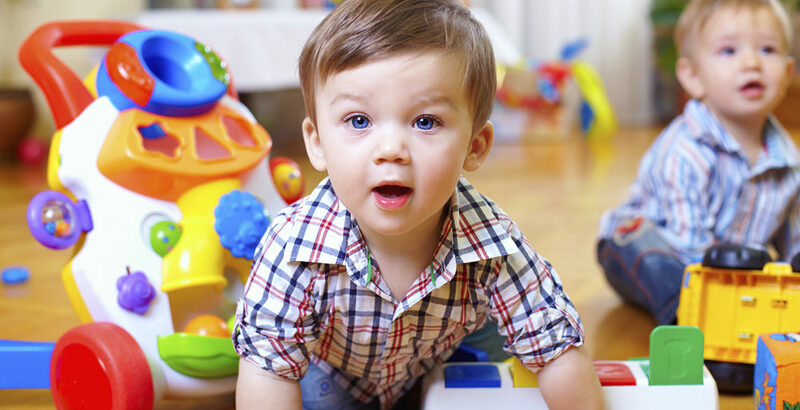 Many parents wonder about the role of play in a preschool classroom. Play is an essential part of learning. It is fun for the children, but it also teaches them many skills and builds on their strengths and abilities. It’s easy to see the physical benefits of play. However, play also improves social, emotional and cognitive skills. Play has been shown to increase cognitive abilities, brain development, imagination, mathematic abilities, creativity and science abilities in all developmental areas. Children learn many important social and emotional skills through play that are essential for the ability to get along with other people, to be able to manage one’s emotions, resolve conflicts in a non-violent manner, make responsible decisions, relate to other people, and to be able to communicate properly. Play teaches children to problem-solve, use self-expression and build self-esteem. Playing with other children helps children learn to take turns and share. It helps children to develop new friendships. Cooperative play helps children learn to listen, negotiate and compromise. Free play can increase a child’s attention-span, help children to become self-reliant and build a child’s imagination. They come to realize they have their own ideas and that they can use those ideas and bring their imagination to life, creating and recreating. So, the next time you wonder why children have so much play time during preschool, stop to consider all of the ways in which your child is growing and maturing, and all of the skills and abilities play time is allowing him or her to develop and improve. If you have any questions about this topic or any other involving your child’s behavior, development or well-being, please call me at 330-736-0071 or email me at bpurdum@altaheadstart.org. You can also Google the benefits of play for preschoolers for a host of other articles on the importance of play.